The primary problems of Iraq’s watersheds are related to 1) pollution of the rivers and 2) upstream water diversion projects. Government decision-makers view the rivers as abstract resources that they can pollute, divert, drain and trade away without consideration to the communities and ecosystems that are destroyed in their wake. Nature Iraq's water resources projects provide strong voices that inform local communities about what is happening and what they can do to influence these pivotal decisions. Waterkeepers Iraq is focused on grassroots advocacy and outreach, with an element of quantitative water quality and threat assessments. The Mesopotamian Outreach Project addresses transboundary water issues through a mixture of advocacy, network building, and the arts. Technical support in our water resources projects is provided by Nature Iraq affiliate Blue Horizon Ltd. 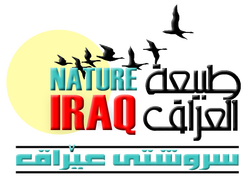 Nature Iraq, through it's Waterkeepers Iraq project, is the only middle eastern affiliate of the the International Waterkeeper Alliance, which is made up of over 200 water, river, sound, marsh, canal keepers around the globe. Waterkeeper Alliance provides a way for communities to stand up for their right to clean water and for the wise and equitable use of water resources, both locally and globally. The vision of the Waterkeeper movement is for fishable, swimmable and drinkable waterways worldwide. Their belief is that the best way to achieve this vision is through the Waterkeeper method of grassroots advocacy.